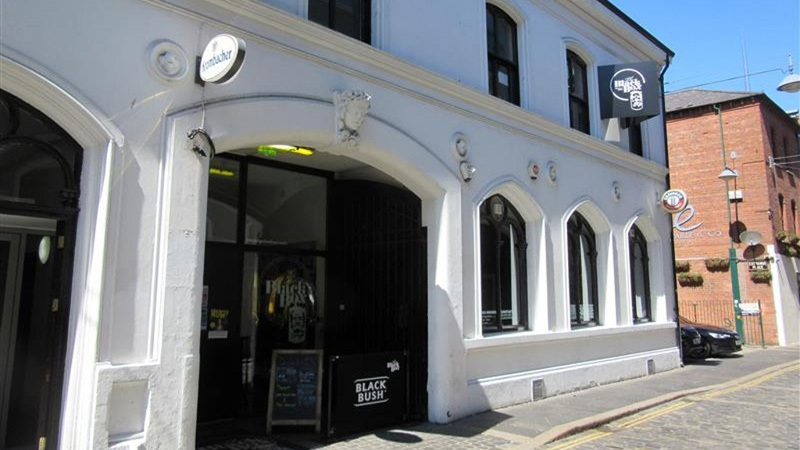 I wrote a short piece for Getintothis on my ongoing love affair with the Black Box in Belfast for Independent Venue Week. It is a glorious place and I miss it. That piece is below with some old shots from some of the best gigs in the world. If you’re in town pop in for a pint and say hello to Barry! The full article is available over at Getintothis so you can see the best venues in the UK! Tony Bennett left his heart in San Francisco. I left mine in the Black Box and it’s not as Goth as it sounds. The Black Box has managed to stay the course against all the odds, it was supposed to be a stop gap while a local theatre was being rebuilt but has garnered such a reputation the city finds it hard to let go. Home of the January long Out to Lunch Festival and the joy that is the Cathedral Quarter Arts Festival it has become a staple in the events calendar in Belfast for over ten years. It’s an odd spot, a literal black box, the ground floor of an office block built behind an old stable house, now it’s cafe bar, The Green Room. I’ve witnessed everything from John Cale, Angel Olson, Thee Oh Sees, a Kate Bush show in Irish, Gaz Coombes a week before his Sound City set and Reverend Billy & The Stop Shopping Gospel Choir. Great space, great staff, perfect sound from Barry, great lights, also Barry, some fantastic beers, plentiful pizza and some of the best entertainment you could ask for year round.